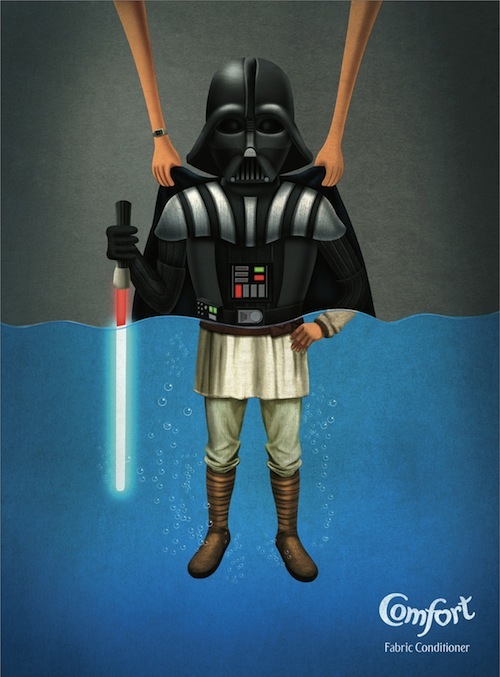 What Happens When You Soak Darth Vader And Hitler In Fabric Conditioner? 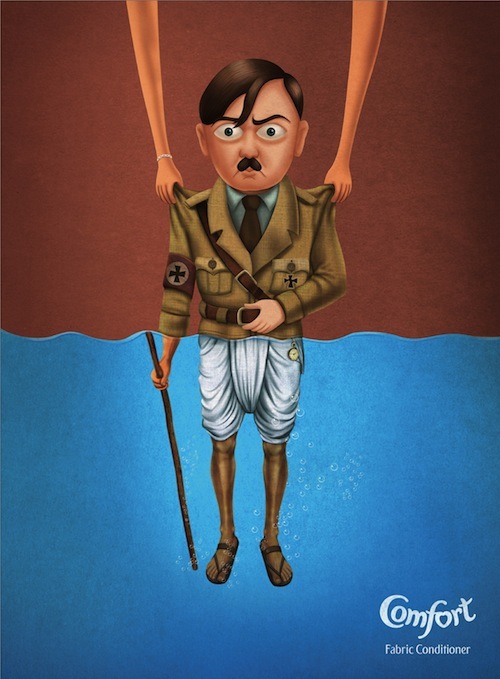 Ogilvy Mumbai, India, has created a set of lighthearted print ads for the fabric conditioner Comfort. The series called ‘Good Soak, War and Peace’, features three prints ads of three bad guys—Darth Vader, Hitler and the Big Bad Wolf—getting soaked in the fabric conditioner. What happens when bad guys get soaked in fabric conditioner? Apparently the super powers of the fabric conditioner cause them to turn ‘soft’ and into their ‘good half’. 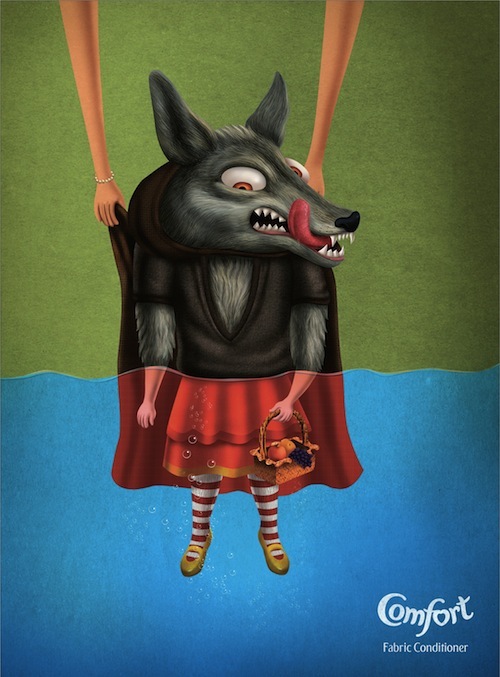 Darth Vader turns into Luke Skywalker, Hitler turns into Gandhi, and the Big Bad Wolf turns into Red Riding Hood.